Let’s be clear: I love dairy products. I enjoy milk, yogurt, cheese (so much cheese) and ice cream on the regs. I’m lucky to have a body that seems to tolerate milk products, a happenstance for which I (and Ben & Jerry & the like) are quite grateful. Lately, though, I’ve been playing around with nut milks – in my cereal, glugged into a smoothie. I even used almond milk in some pancake batter awhile back and it was, decidedly, a good decision. 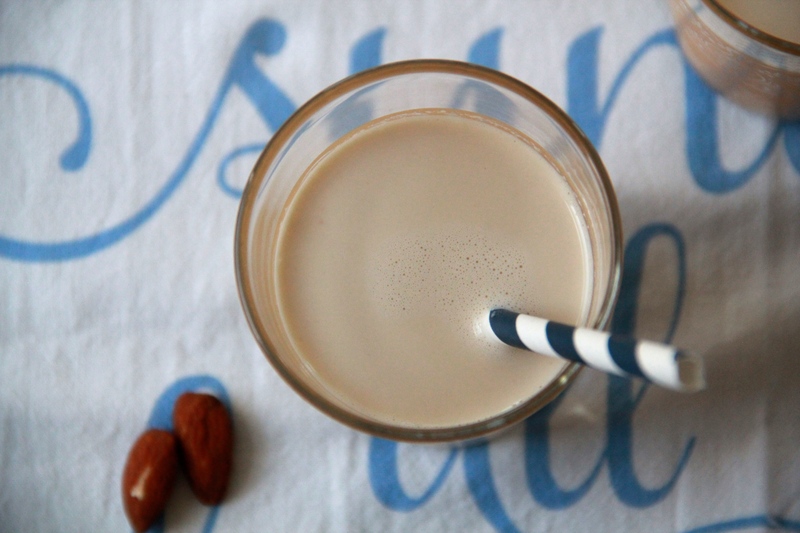 Turns out homemade almond milk is easy peasy! All it takes is almonds, water, and maybe a little sweetener, if you like. I’ve seen versions that use maple syrup, honey, dates, agave, vanilla extract… sky’s the limit, really. I decided to use malted milk powder, which is slightly sweet, and ultimately put the dairy back in my non-dairy milk alternative. Dairy nut milk. It’s a thing now. Get onboard! The best tools for homemade almond milk are a high-powered blender and a nut milk bag. A NUT BAG. (This is a real thing). I don’t have a nut bag because I am not a nut bag, so I used a regular old fine strainer lined with cheese cloth. (If you happen to have a nut bag, good on you. Nutbag). Put the almonds in a large jar, and cover them with a few inches of water. Let the almonds soak in the refrigerator overnight. 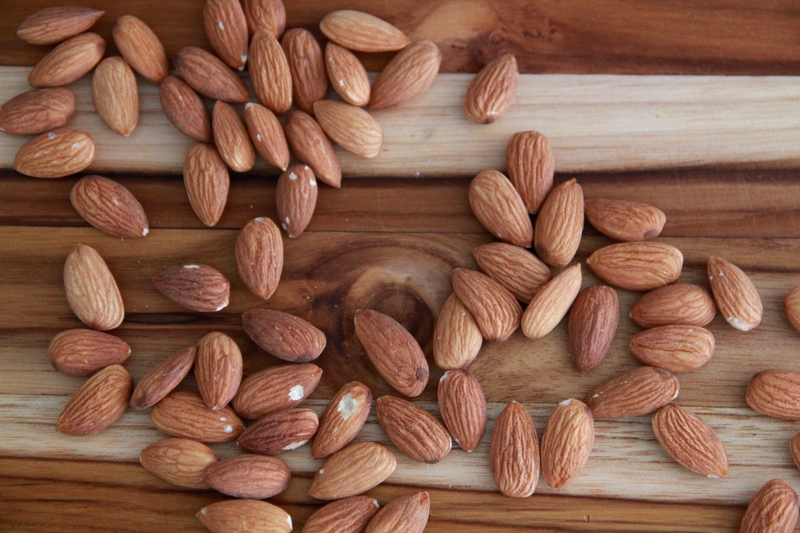 The next day, drain the almonds, then place them in a high powered blender or food processor with 3 cups of fresh water and the malted milk powder. Blend well until the mixture is smooth and frothy, at least 2 minutes. Strain almond milk through a fine strainer lined with cheesecloth, pressing the milk through to a large measuring cup (you can save the leftover almond pulp, spread it on a sheet pan and bake it dry to use as almond meal, if you like). Chill the almond milk before enjoying straight-up or in smoothies, granola, puddings, etc. Vanilla almond milk in particular has always reminded me of milkshakes, so I love that you added the malted milk powder. Yum! 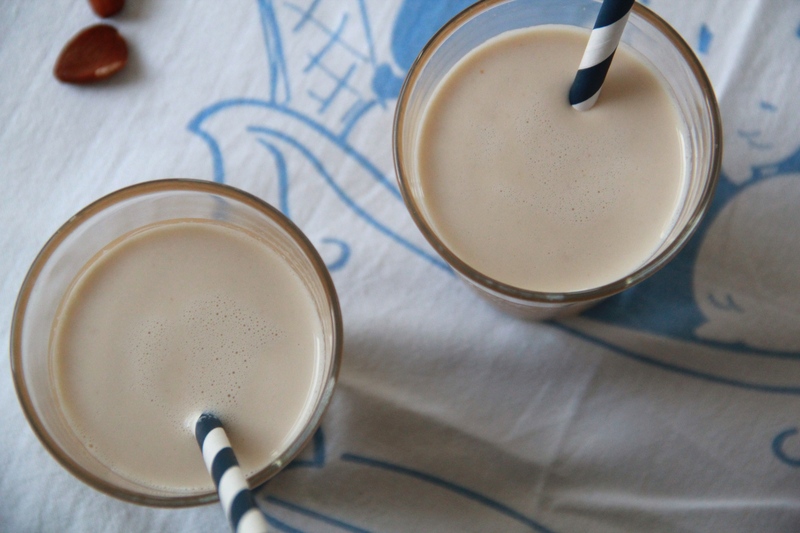 Yummmm to vanilla almond milkshakes!